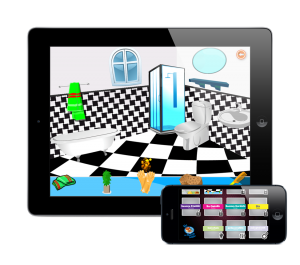 interactive app from Oin Interactive is now available to download for free from the iTunes App store, This Irish Language app allows users to explore an interactive house where they can absorb the sounds and phrases commonly used in everyday Gaeilge life . children helping develop the apps creative functionality. The game works ona single touch and drag method, so don’t forget to turn on your speakers.